Tokyo Winter for International Candidates (Feb.) for International Candidates (Mar.) Tokyo Summer Osaka for Candidates w/ Study Abroad Exp. CFN Scout is a way for employers to reach out to you directly when they search for resumes and find a match. Even if you are unable to attend our Career Forums, register your resume so employers can find you! CFN Agent introduces various job openings that are not available at the Career Forums. You can also consult with our professional agents to receive advice when applying to jobs. All CFN members can use CFN Agent for free! 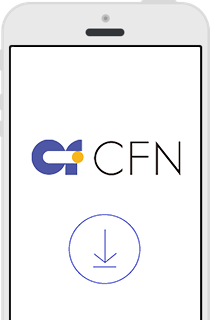 Start using CFN Agent today to maximize your job hunting productivity. If you download this app beforehand, you can plan for a more productive experience at the Career Forum. It's useful to use to check-in at registration, to review your interview/seminar schedules, to locating company booths, and to viewing recruiting details of participating companies.